Home > What is Reflexology? Reflexology is a natural therapeutic, non-invasive, touch therapy that assists the body to heal itself. It consists of alternating degrees of thumb and finger pressure techniques to reflex points on the feet, hands, face and ears. 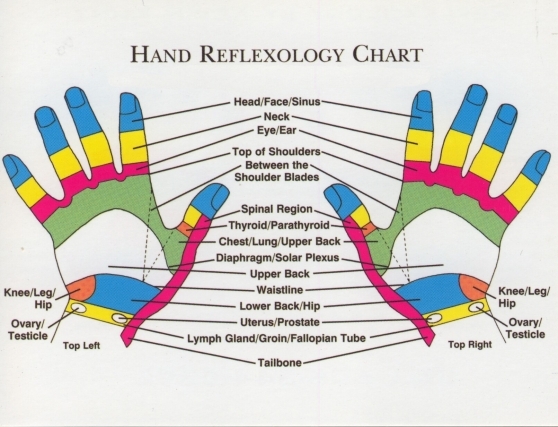 These reflex points correspond to all our bodily systems. Reflexology facilitates deep relaxation, reconnecting and calming nerve pathways in the central nervous system, thereby supporting the prevention of illness, maintenance of good health and wellness. It encourages body balance and our body’s natural innate healing. Throughout the body there are trillions of cells, each with their own unique intelligence. All of these cells in the body are in communication with each other throughout the fascia and all bodily systems. Stressors like emotional and physical accidents or surgery trauma can create scars, lesions, cysts or blockages in the connective tissue anywhere in the body. These wounds create a disruption along nerve pathways and the body must adapt for its optimal health and survival. 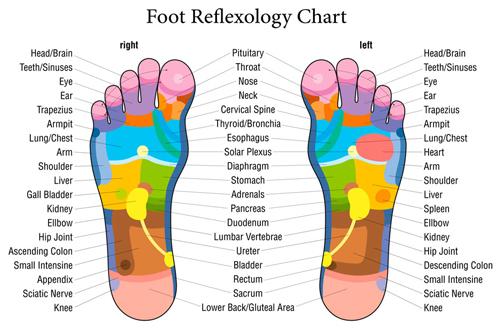 A qualified, experienced and trained reflexologist knows how to work the 7,200 nerves in each foot to reduce any stressors or pain they find in the foot and relate it back to the body to bring the body back to natural health. Reflexology is a therapy that is approximately 5,000 years old and is believed to have been developed in China. Evidence of ancient and more modern forms of reflexology is found all around the world and today it is practised widely around the world. It is growing in popularity in Australia and in Northern Europe it has been identified with reducing absenteeism in the workplace. And a range of other health issues that reflexology can improve.